Want to boat flip your fish instead of using a net? Stop breaking rods! Stop hurting fish! We're going to quickly teach you how to boat flip safely and consistently. The next time you're on the water with heavy tackle and want to flip a fish, you're going to know exactly what to do! The technique of flipping fish into the boat instead of lipping them or using a net is very simple. Once you've learned the method you can replicate it over and over. Whether using heavy tackle and braided line or moderate tackle with mono or fluorocarbon, you can do this effectively. Below, we've broken down the gear we were using in this video. We're also going to include a handful of product lines from different companies that we recommend for boat flipping. 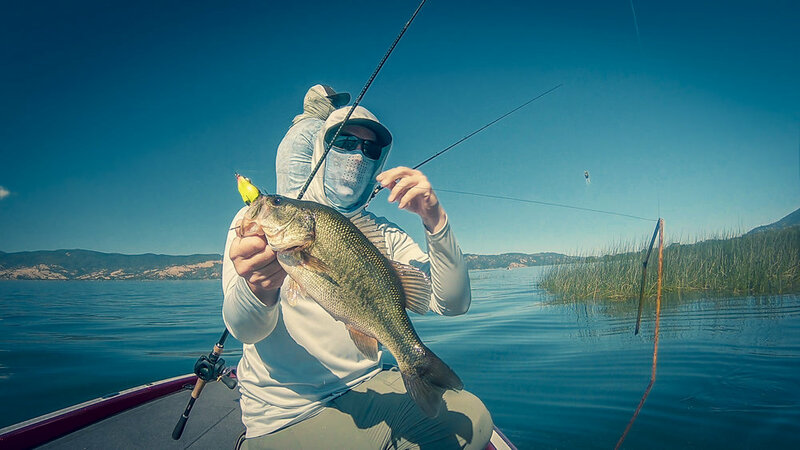 Keep in mind that "higher end" tackle tends to be more brittle than "lower end" product so the key is to find the product lines that offer the best compromise of sensitivity, strength, and consistency.